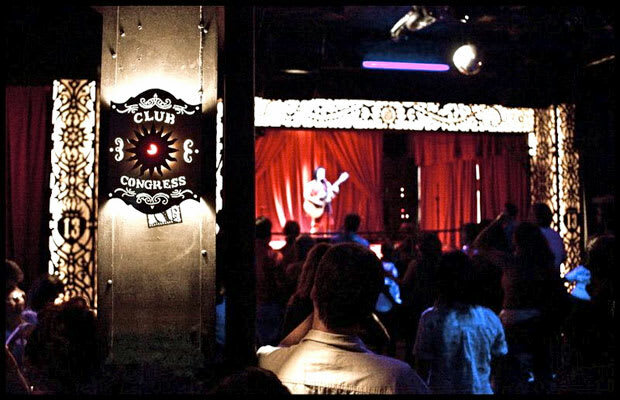 ADDRESS: 311 East Congress St.
An unexpected gem in the dry heat of 'zona, Club Congress isn’t your typical hotel bar, with tinkling thousand-dollar chandeliers and a top 40 DJ. No, if you walk through the doors here, you might see a game of music jeopardy unfolding, or a band on stage looking to crowd surf. Here, it’s all about $3 well drinks and band members schmoozing with locals before the show, so prepare to dance, sweat, and perhaps only spend $10.